We have the largest selection of beautiful, solid color chopsticks. Solid colored Japanese style chopsticks are great for personalizing (see Engraved Personalized Chopsticks). Have fun combining colors for a multi-color table setting. 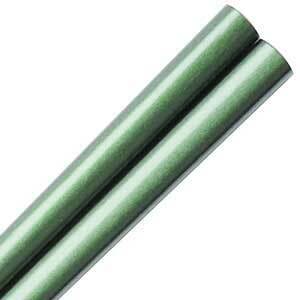 Forest green color glossy painted Japanese style chopsticks. A very elegant and simple chopstick. The chopsticks are 8-7/8 inches long with smooth tips and a blended profile handle. These chopsticks are made in China. 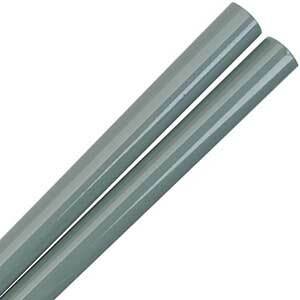 Titanium gray color glossy painted Japanese style chopsticks. A very elegant and simple chopstick. The chopsticks are 8-7/8 inches long with smooth tips and a blended profile handle. These chopsticks are made in China. Mint green color glossy painted Japanese style chopsticks. A very elegant and simple chopstick. The chopsticks are 8-7/8 inches long with smooth tips and a blended profile handle. These chopsticks are made in China. Olive green color glossy painted Japanese style chopsticks. A very elegant and simple chopstick. The chopsticks are 8-7/8 inches long with smooth tips and a blended profile handle. These chopsticks are made in China. 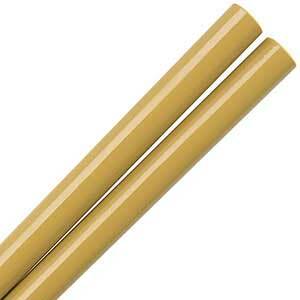 Honey gold color glossy painted Japanese style chopsticks. Very elegant and simple Japanese chopsticks. The chopsticks are 8-7/8 inches long with smooth tips and a blended profile handle. These honey gold chopsticks are made in China. Lilac color glossy painted Japanese style chopsticks. A very elegant and simple chopstick. The chopsticks are 8-7/8 inches long with smooth tips and a blended profile handle. These chopsticks are made in China. Maroon color glossy painted Japanese style chopsticks. A very elegant and simple chopstick. The chopsticks are 8-7/8 inches long with smooth tips and a blended profile handle. These chopsticks are made in China. Navy blue color glossy painted Japanese style chopsticks. A very elegant and simple chopstick. The chopsticks are 8-7/8 inches long with smooth tips and a blended profile handle. These chopsticks are made in China. 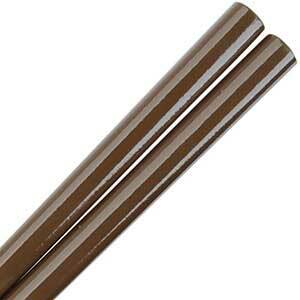 Old gold color glossy painted Japanese style chopsticks. A very elegant and simple chopstick. The chopsticks are 8-7/8 inches long with smooth tips and a blended profile handle. These chopsticks are made in China. Tangerine orange color glossy painted Japanese style chopsticks. A very elegant and simple chopstick. These reusable chopsticks are 8-7/8 inches long with smooth tips and a blended profile handle. These chopsticks are made in China. Pink pastel color glossy painted Japanese style chopsticks. A very elegant and simple chopstick. The chopsticks are 8-7/8 inches long with smooth tips and a blended profile handle. These chopsticks are made in China. Purple color glossy painted Japanese style chopsticks. A very elegant and simple chopstick. The chopsticks are 8-7/8 inches long with smooth tips and a blended profile handle. These high-quality Japanese-style chopsticks are made in China. Red glossy painted Japanese style chopsticks. A very elegant and simple chopstick. The chopsticks are 8-7/8 inches long with smooth tips and a blended profile handle. These chopsticks are made in China. Silver glossy painted chopsticks in the Japanese shape and style. Silver colored chopsticks are an elegant table presentation. 9 inches long with smooth tips and a blended profile handle. These chopsticks are made in China. White glossy painted Japanese style chopsticks. A very elegant chopstick, beautiful for the wedding table. The chopsticks are 8-7/8 inches long with smooth tips and a blended profile handle. These chopsticks are made in China. Lemon yellow color glossy painted Japanese style chopsticks. A very elegant and simple chopstick. The chopsticks are 8-7/8 inches long with smooth tips and a blended profile handle. These yellow chopsticks are made in China.